A scene created just for you, on a memory box you'll cherish always! We all collect treasures, small objects that trigger memories of places, events and times that we don't ever want to forget. In my house, these treasures might be fragments of fossils, polished rocks, small sparkly things, sea glass, coins from far off lands...little pieces of wonder. Treasures this special deserve an equally special resting place, one that will become a treasured memento in its own right. In the examples above, you see a few other stories being told: the first is for a magical young girl who loves fairies, water, and baby ducks. 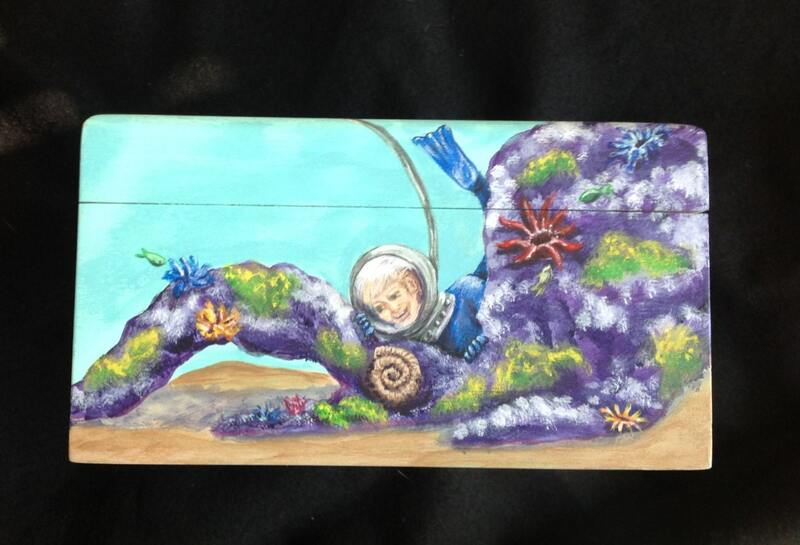 The next was painted for a boy with a very clear life path: he plans to be a deep-sea-submersible-inventing-paleontologist who searches for ammonites on the ocean floor. In the last, the young man who received it loves trains, the beach, skiing, and helping people--so of course his personal train makes all of that come together. Often a special element can pop up as a surprise on the inside of the box! Personalization can often be incorporated into the design, or featured on the inside of the lid. For YOUR box, we will start with a conversation about what elements and details are special to you, I will come up with a way to tell that story in a scene that covers the entire outside of the box. For more keepsake box pictures and ideas, check out www.laraevedesigns.com, I can't even begin to show them all in only five images! 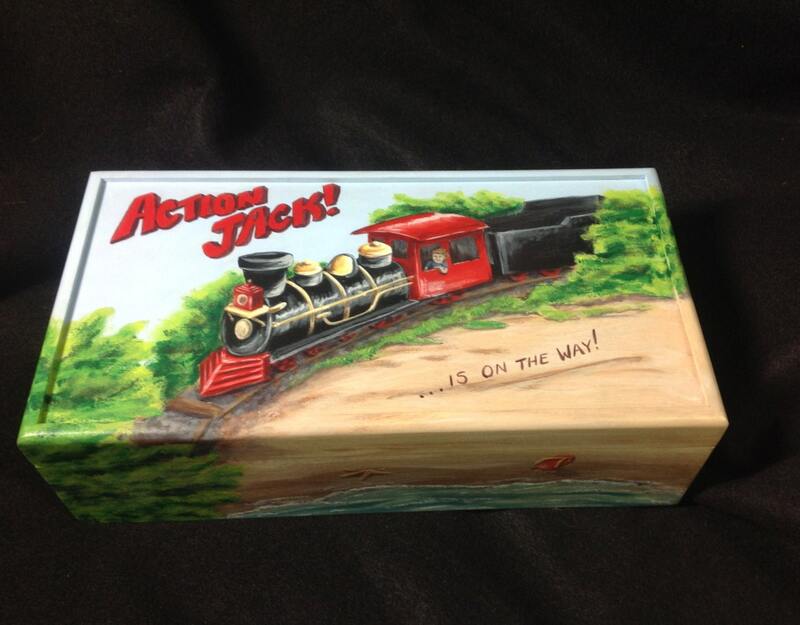 Imagine a hand painted engagement box, to collect small mementos that chart the journey to your big day. 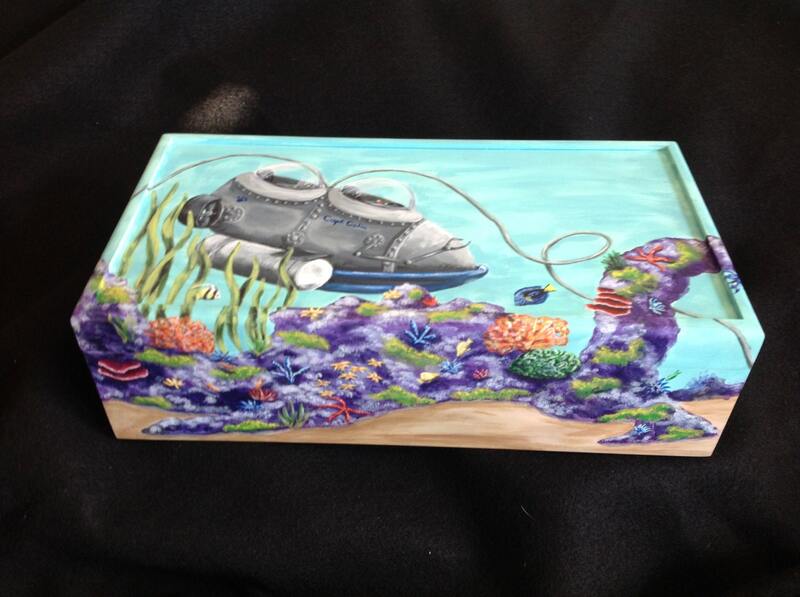 Or a special box painted with scenes from a beloved vacation, filled with the ticket stubs, sea shells, and other bits and pieces that will take you right back to that moment. 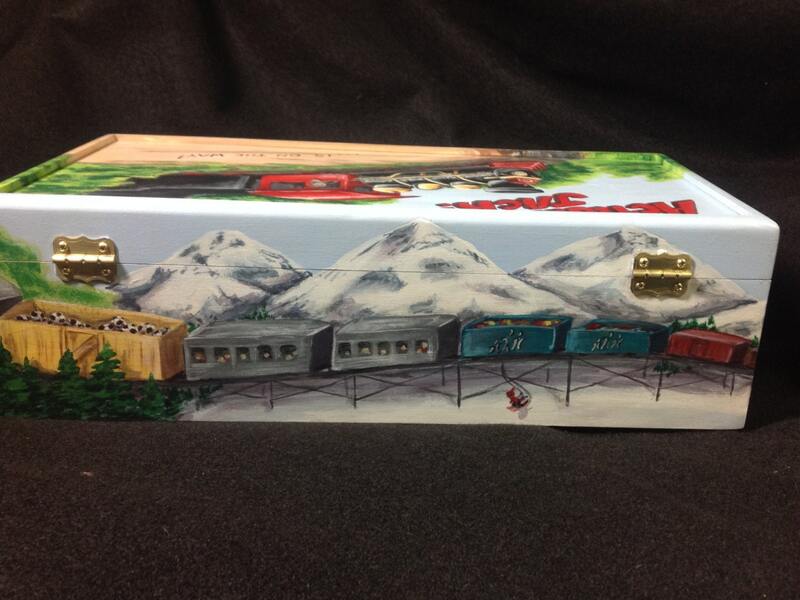 Each box is an original design, hand painted in minute detail. 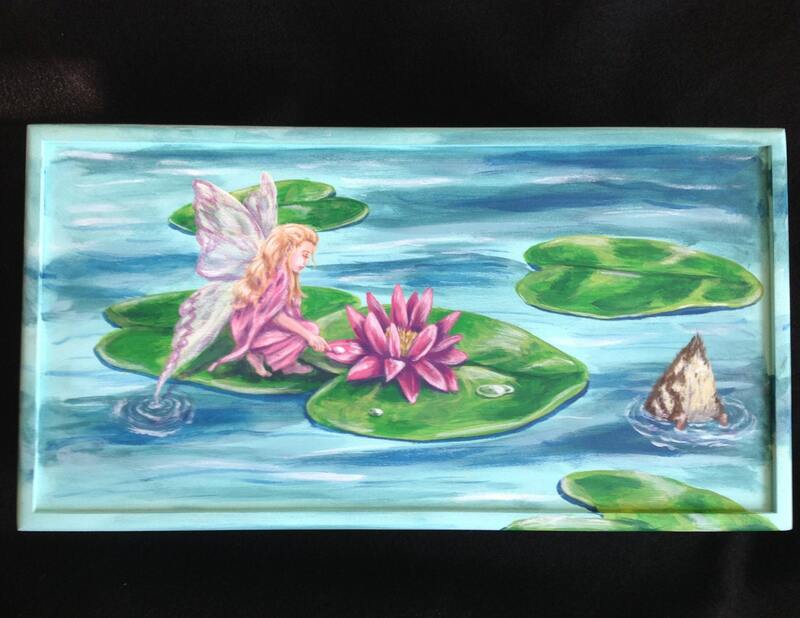 I use all non toxic acrylic paints and sealers. The boxes themselves are beautifully made by another Etsy artisan, Designcraft Industries (I encourage you to visit their shop), out of solid poplar. Dimensions shown are 13 3/4" x 7 1/4" x 4", but many other sizes are available. Just ask!